The January issue of Kode Magazine is a shoutout not only to Martin Luther King Day, but also preparation for black history month. In celebration of their 10th issue (the magazine launched in 2014), titled #GenerationNoir, Creative Director Allan Troy features six of today’s most talented young actresses. The editorial is shot by celebrity photographer Bradford Rogne. 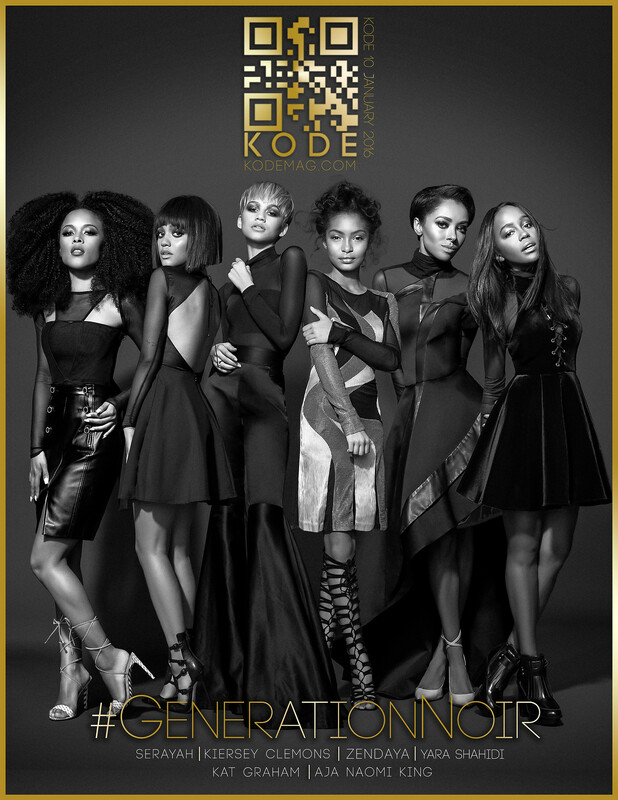 Zendaya Coleman, known simply as Zendaya, is featured in #GenerationNoir and it made my heart soar. The actress is quickly becoming a style icon, slaying award season in Marchesa and more. Zendaya’s career began to take off with her role in Shake It Up on the Disney Chanel. Zendaya discusses her current projects in this month’s issue of Kode Magazine. Serayah McNeill who has quickly risen to a fan favorite. Through Empire, the 20 year old has made many strides, and celebrity friends, like Taylor Swift, who invited the singer/actress on stage at her concert in Chicago last July. It’s also rumored that this young star is currently dating Wale. 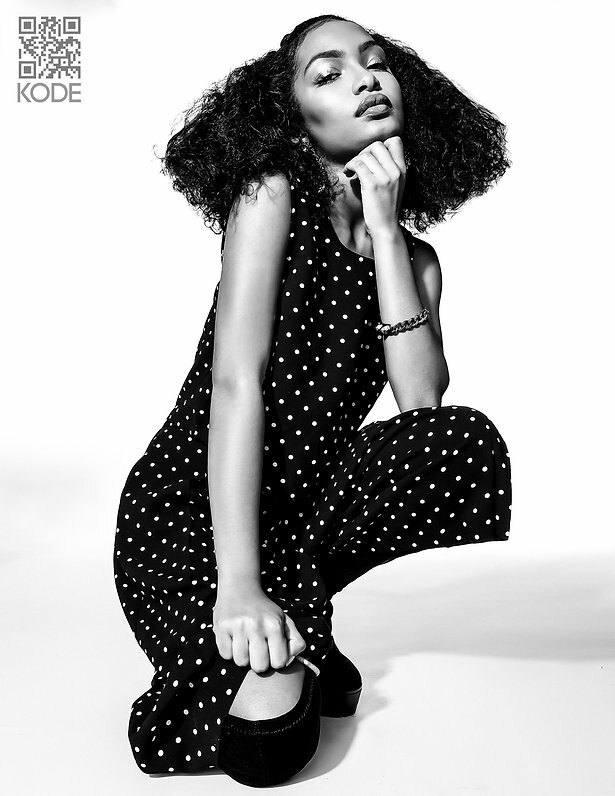 Black-ish star Yara Shahidi is only 15-years old and already has a NAACP Image Award for Best Supporting Actress in a Comedy Series (go girl!). Yara’s exquisite features are a mix of Iranian and Black, both cultures the teen identifies with. She’s also Nas second cousin, “I was a flower girl in his wedding,” she states. Coming from a family of dopeness, I wouldn’t expect anything else but this fierce shot pictured below. Kiersey Clemons is probably best known for her role as Diggy in the movie Dope. Dope won the African-American Film Critics Association (AAFCA) for Best Screenplay. Clemons was also featured in the February 2016 issue of Teen Vogue as one of the “new faces of feminism.” From working with artists like Pharrell to actors like Halle Berry, Clemons is undoubtedly an actor in young Hollywood to watch. Star of Vampire Diaries, Kat Graham, is a triple threat. The Swiss-born American actress is also a singer, a dancer, and a model. She also has a producer credit for Muse. I’m most excited to see this young star in the Tupac biopic All Eyez On Me (she’s playing no other than Jada Pinkett Smith). Not only an entertainment star, but also a philanthropist, she published a photobook with UNHCR that is a diary of her time traveling to the Guatemala-Mexico border in June of 2015 to help refugees. How To Get Away With Murder star, Aja Naomi King is also featured in the editorial, discussing what it truly means to be a black woman in Hollywood and why the presence matters so much. King also has a role in the upcoming film, Nat Turner Is Coming, formerly called The Birth of a Nation. The film will explore the Nat Turner, who led the most successful slave revolt in American history. This editorial is refreshing as it showcases young Black Hollywood whom will soon be our future Halle Berry’s, Regina King’s, Jada Pinkett Smith’s and more. It’s essential to uplift our current stars and showcase their projects and fabulousness. 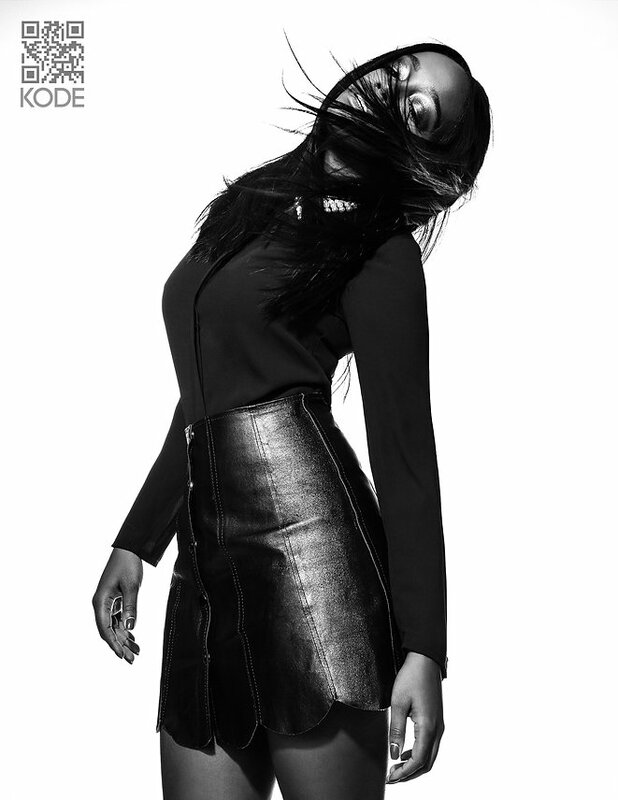 Kudos to the Kode Mag team!